New York, NY – The LOX is back after 16 years in between albums, the legendary trio shares Filthy America … it’s beautiful. The LP dropped in a partnership with the group’s D-Block Records and Roc Nation, which members Jadakiss, Sheek Louch and Styles P shared excitement for on Instagram. The trio celebrated the release of the album with a special concert at New York’s Highline Ballroom. 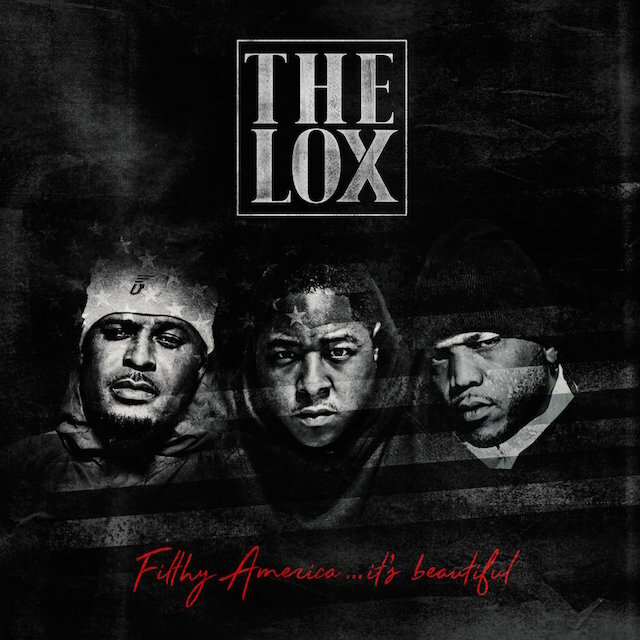 Stream The LOX’s Filthy America … it’s beautiful below and keep scrolling for the cover art and tracklist. Legendary trio The LOX and its D-Block Records have made the next move in the group’s nearly two-decade career by announcing a partnership with Roc Nation to release its next album, Filthy America … it’s beautiful. The project is due out December 16. Roc Nation made the announcement on its Twitter account and Jadakiss and Sheek Louch shared their excitement for the deal on Instagram. At the beginning of the year, ‘Kiss hinted something was brewing as he posted a picture of himself, Sheek and Styles P posing with Roc Nation boss Jay Z. For the album, Styles P, Sheek Louch and Jadakiss have prepared 12 tracks with features from Mobb Deep, Fetty Wap and Gucci Mane (he really is everywhere). Production will come from DJ Premier, Pete Rock and Dame Grease. 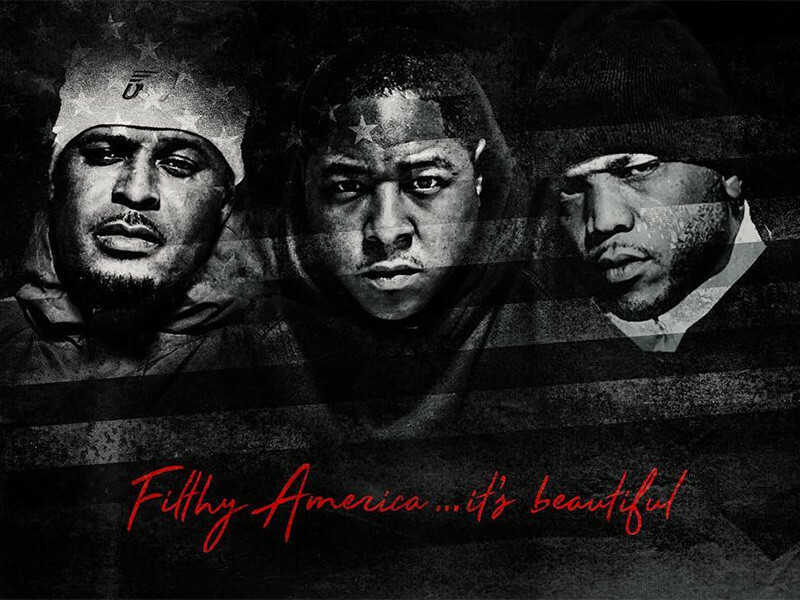 Filthy America … it’s beautiful is the Yonkers group’s first LP since 2000’s We Are the Streets, which came out on Ruff Ryders and Interscope after a dramatic split from Puff Daddy and Bad Boy Records. The LOX showed time heals all when they joined the Bad Boy Family Reunion Tour this year. To celebrate their new chapter with Roc Nation, The LOX will perform at New York’s Highline Ballroom December 15. Get tickets here. Pre-order The LOX’s Filthy America … it’s beautiful on iTunes and see the album cover art and tracklist below.